Two More Winners from Run Fast. Cook Fast. Eat Slow. We’re continuing to enjoy the recipes from Run Fast. Cook Fast. Eat Slow. by Shalane Flanagan and Elyse Kopecky (publisher page / Amazon). (And we still use its predecessor, Run Fast. Eat Slow.) I think it’s safe to say that recently the majority of prepared foods in our house has used one of those two cookbooks. Two more yummy ones to show in this post. 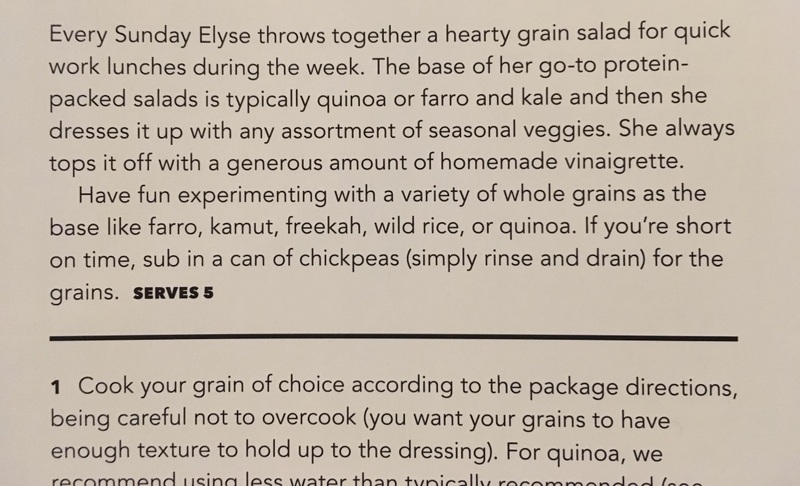 First, the ultra-healthy Grain Salad, for which you can use quinoa or any other grain you have in the house. 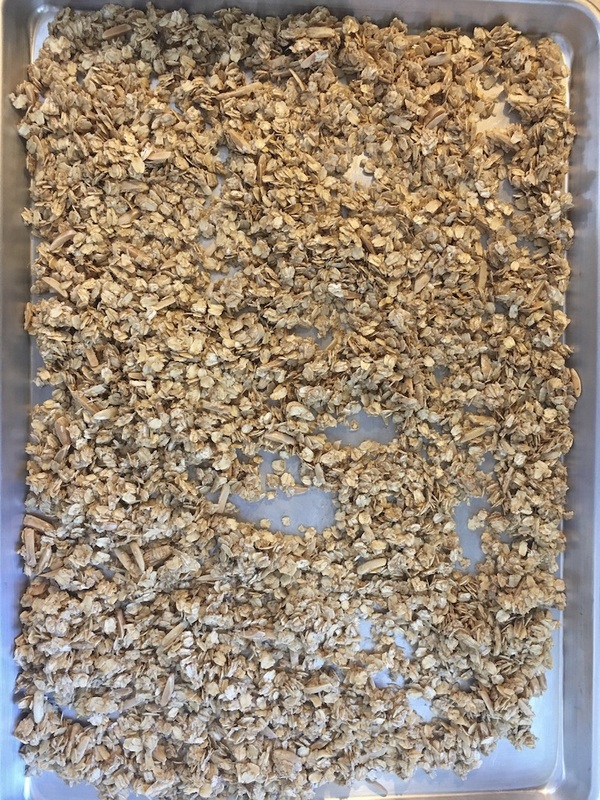 I was eager to try the cardamom granola recipe, however aged our cardamom might be! I tripled the recipe so that we’d have some to share. It came out great. 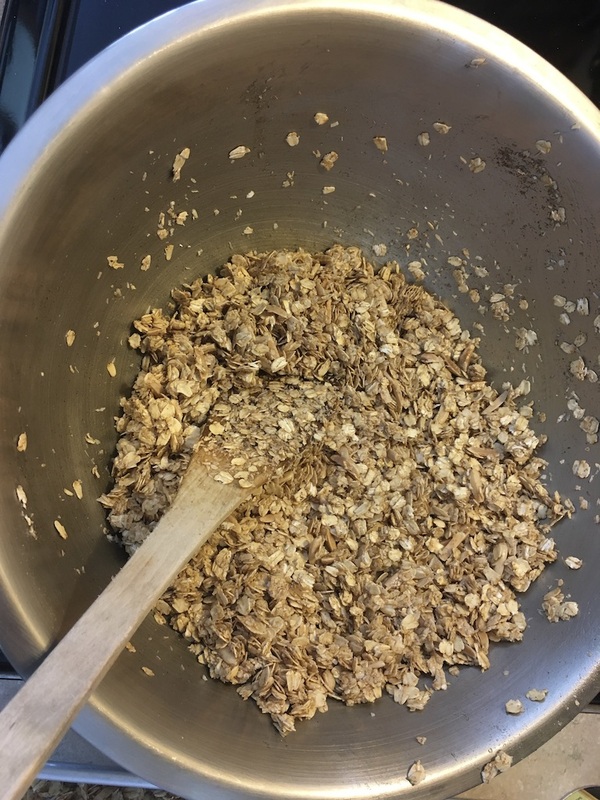 If anything, the recipe could have called for more cardamom; its taste wasn’t very pronounced, but that could be because some of my spice had lost its flavor over time. Oh, and have I mentioned the superhero muffins? If you loved them from the first cookbook, this follow-up offers more variations. 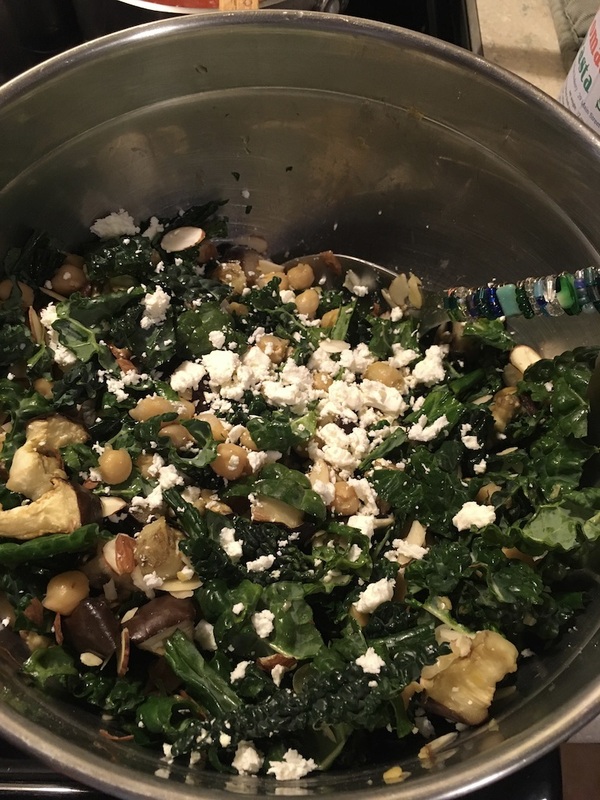 Lots of great grab-and-go (but healthy and nourishing) snack ideas here. I’ve barely even gotten into the book’s racing tips and overarching eating/kitchen strategies; we’ve been so eager to just go the the recipes. But it’s got some really useful big picture stuff, too, like a compelling section on why the book doesn’t include calorie counts. And there are chapters devoted to things like “Jump-Start Your Kitchen” (chapter two) and some of Shalane’s training routine (the third chapter, “Rise & Run”). This cookbook/guidebook is definitely a worthy sequel, and has a prominent place among our cookbooks. You can check out the Run Fast. Eat Slow. website here. Thanks to the publisher for sending a copy of Run Fast. Cook Fast. Eat Slow., sent so I could review it, but with no expectation as to the nature or content of my review.